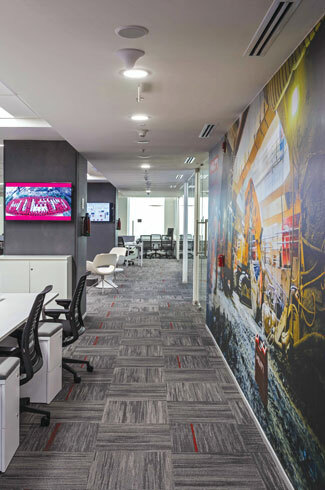 Coming off as a young, fresh and vibrant workspace, the Hilti India office in Gurgaon is curated by AVA Design Studio. This 15542 sq.ft plate area has been designed such that the raw concrete elements have been left exposed with other elements of design working around the exposed RCC columns and the slab. The exposed and raw look serves as a perfect backdrop to highlight the Brand HILTI to anyone who walks inside the office. 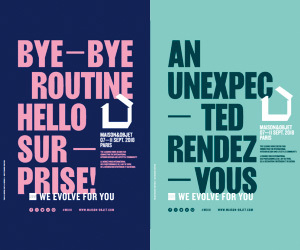 The Hilti corporate colors have been used to accentuate the brand image. A major feature inserted in the design is the Collaborative Booth seating near the bay windows at one end of the floor plate, allowing and promoting a work culture that embraces collaboration and interaction. 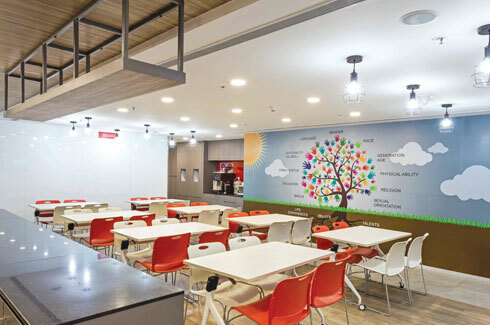 Meeting rooms depict an engaging and immersive design with meaningful graphics making its way across the ceilings, while the cafeteria is an intimate space designed to give the experience of dining out of an inn on a highway.